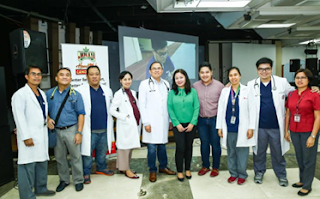 The Philippine Heart Center (PHC), cardiac rehabilitation section, recently celebrated the National Cardiac Rehabilitation week, June 19 – 27, to educate its patients and staff to improve their hearts’ health and well-being. PHC is the pioneer in the field of Cardiac Rehabilitation in the country and it also champions in the prevention of cardiac diseases and quick recovery of heart disease patients. The week-long activities, in partnership with Jolly Heart Mate Canola Oil, included lifestyle and healthy tips from various dieticians and nutritionists. Jolly Heart Mate resident chef DJ Santos from CCA-Manila also conducted a cooking demo to teach recipes that are heart-friendly and healthy. 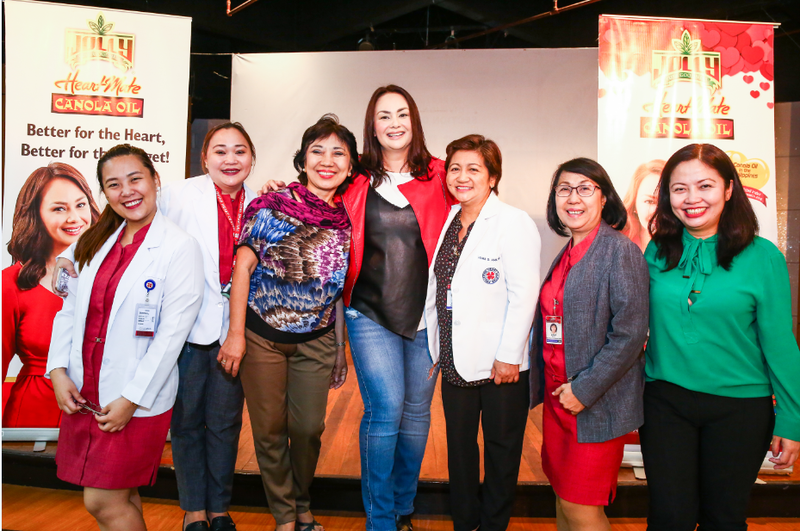 Jolly Heart Mate Ambassador Chef Donita Rose made a surprise appearance during the celebration where she happily took selfies with the patients and doctors in the hospital. She also gave a talk that emphasized on the value of giving attention to healthy eating. “We must always be conscious that the ingredients we use should be good for the heart, like Jolly Heart Mate Canola Oil which contains the lowest amount of bad fats (saturated fats) but packs in the good kind like omega 3 and 6,” Chef Donita shared. Jolly Heart Mate Canola Oil also offered free nutrition counselling and body mass index check during the celebration for PHC’s out patients. “We are very honored to take part in this noble cause of the Philippine Heart Center, section of cardiac rehabilitation, in educating Filipinos on how to take care of their hearts. We believe that little lifestyle upgrades, like choosing healthy cooking ingredients, especially in their cooking oil, will make a big difference in improving one’s health,” concluded Fly Ace Corporation Group Category Manager for Oils Zen Prudentino.